The structure is always in matt white. 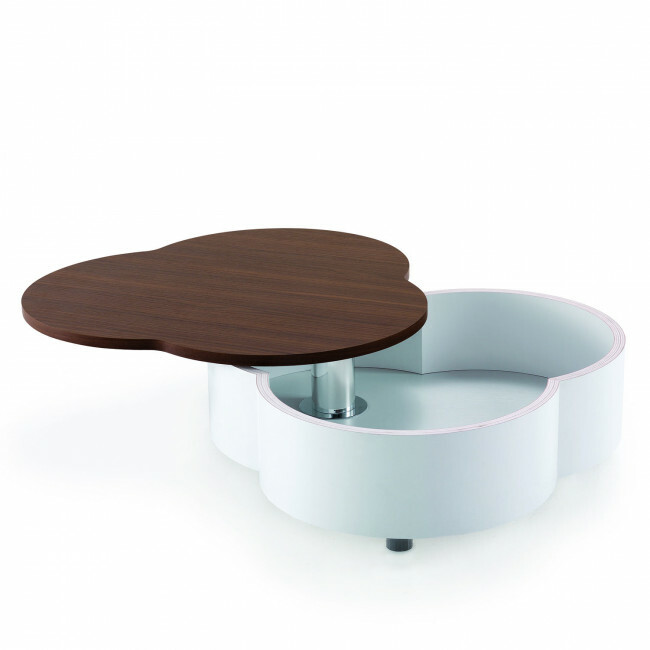 Petalo is a low coffee table for the sitting room with rotating top which conceals an internal storage compartment. On the upper top you can place small decorative objects, whereas in the inside it is possible to store the things you need to have ready at hand. Simply slightly rotate the top to store the objects and then bring it back easily to the original position. Petalo helps in keeping neat and tidy the area in front of the sofa, thus furnishing the environment with originality and sobriety. Its peculiar shape, together with what its name suggests, recalls flower petals. 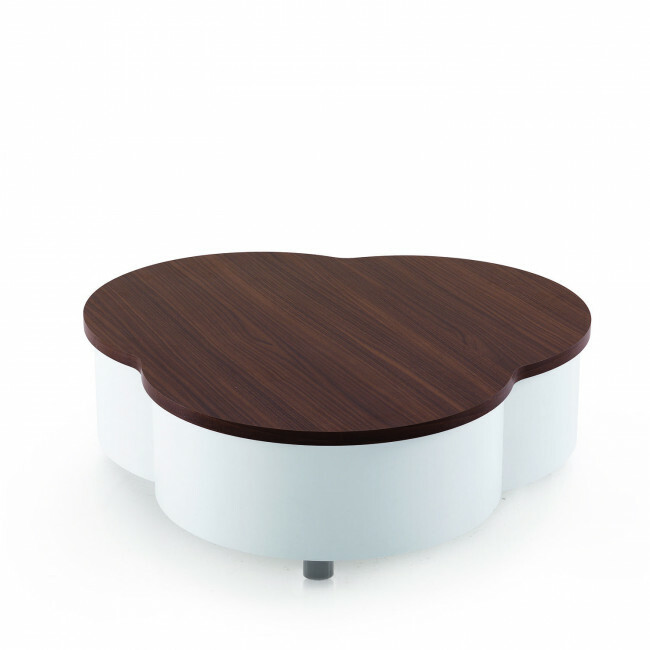 Petalo belongs to Maconi coffee tables collection. By visiting our shops and Partner Retailers you will receive professional assistance in creating the perfect furniture solutions for your own space.